I am a popover newbie. And they are everything I ever imagined and more. These popovers are light, crusty and buttery. To have crusty bread is a gluten-free eater’s dream! These are so simple to make. Just a whirl in the blender, then into the oven. My husband loved them and has declared he will make them again this week. These popovers were delicious simply with butter and honey. They would also be fantastic with jam or maple syrup for breakfast. I am definitely going to make these for dinner to accompany soups where I have been missing crusty bread on the side. Need a holiday brunch idea for your gluten-free friends? These will surely please everyone, no matter their diet. I am going to experiment rolling them in melted butter and cinnamon sugar for a delicious doughnut-like creation. As you can see the popover’s versatility is endless. Three cheers for a new staple! Crispy and buttery on the outside, airy and spongy on the inside.
) Preheat the oven to 400°F. 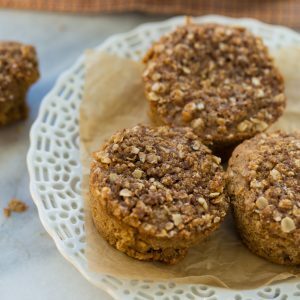 Grease a 12-cup muffin pan.
) Popover batter is easiest made in a blender. Blend eggs, butter, and milk on medium speed in the blender until the mixture is uniform. Whisk the flour or flour blend in a bowl with the xanthan gum and salt. Spoon or pour the dry ingredients into the blender, then blend at medium-high speed until batter is smooth. A few tiny lumps are OK, but if you have more lumps than that, keep blending till they disappear.
) If you don’t have a blender, whisk together the eggs, butter, and milk in a large bowl. In a separate bowl, whisk the flour or flour blend with the xanthan gum and salt, then gradually sift and whisk into the liquid ingredients until you have a smooth batter. If, despite your best efforts, there are more than a few tiny lumps, strain them out of your batter with a sieve.
) Pour the batter into the prepared pan, filling each cup about 2/3 full.
) Bake for 25 minutes, then reduce the oven heat to 350°F and bake for an additional 15 minutes, until the popovers are deep brown.
) Remove from the oven, prick the side of each popover with a sharp knife to let the steam out, and let popovers rest for 5 minutes to finish setting. Remove from the pan, and serve immediately. Or, to keep them crisp longer, allow them to sit in the turned-off oven for 10 to 15 minutes before serving. Preheat the oven to 400Â°F. Grease a 12-cup muffin pan. Popover batter is easiest made in a blender. Add all the ingredients to the blender and blend until smooth. Bake for 25 minutes, then reduce the oven heat to 350Â°F and bake for an additional 15 minutes, until the popovers are deep brown. Have you tried making these with almond/coconut flour? Because I'm tolerant of gluten, should I just use regular white or wheat flour? 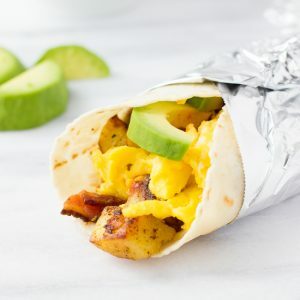 I made these for breakfast this morning with Arrowhead Mills GF blend. They are very similar to the popovers I remember as a kid. These will be great with Thanksgiving dinner. Thanks for the recipe! How are these dairy free with eggs in them? Eggs are not dairy! When you have food allergies you know there’s a big difference. I can tolerate eggs but not dairy.